Click the button below to add the Square Pegs Collection to your wish list. Nail Technicians and Students are using our Premixed Glitter and Acrylic nail kits to create acrylic nail art and amazing acrylic nail designs while saving time. Let us do the work for you! We mix the color, you make it amaZing!! Glitter and Acrylic already mixed into the acrylic Nail Powder. Some Acrylic powders are mixed with Mylar, Confetti, Tints, and sea shells! 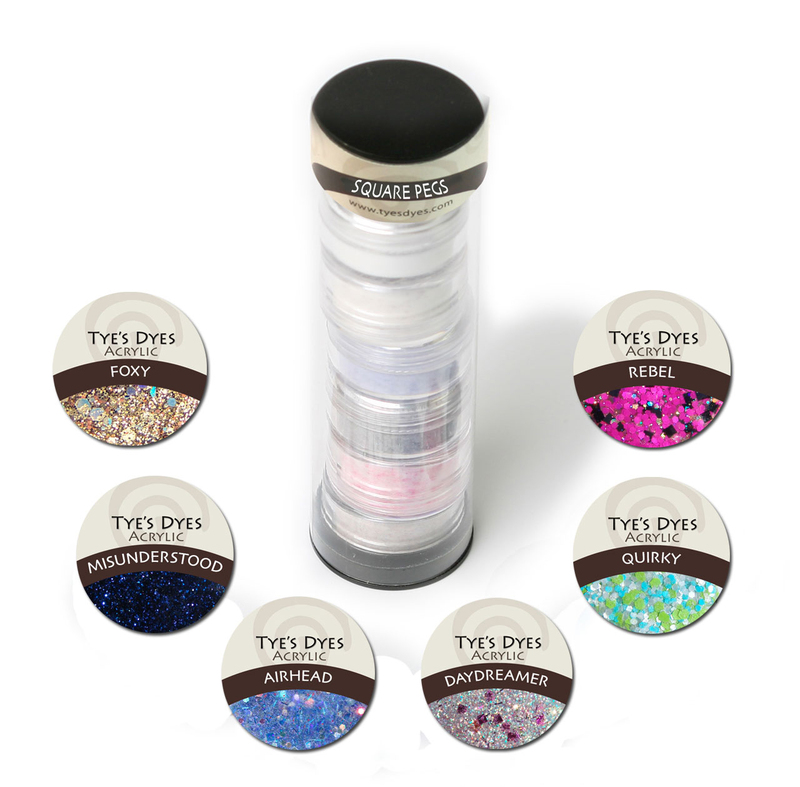 Tye's Dyes Designer Color Acrylic powders are all Pre-mixed with Glitter, shells, Confetti,Tints and even MYLAR! You won't believe how amazing these Professional Acrylic Nail mixes are!The Glitter and Acrylic are already mixed together. No mixing nail glitters. Open the jar and start amazing your clients. No more wasting time mixing!